We all know Frank, well some of you should know him. 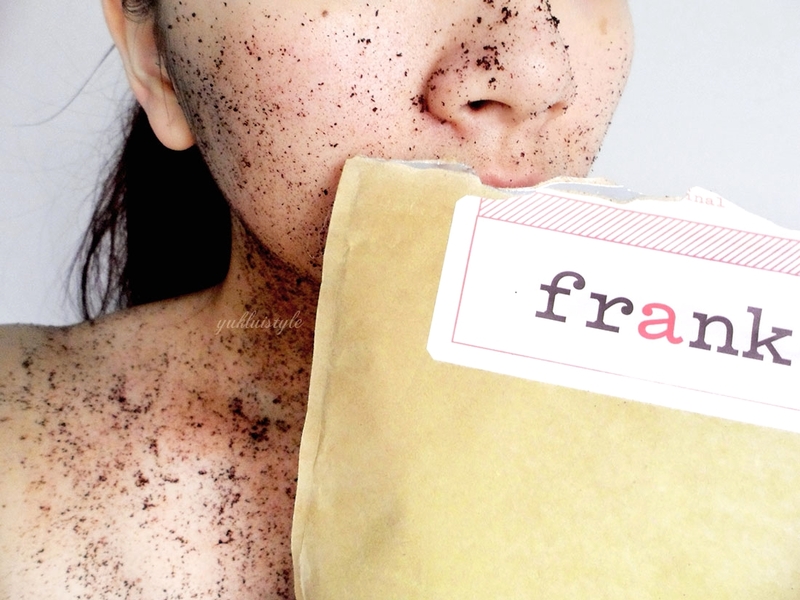 This Frank coffee scrub in original contains roasted, ground coffee beans, sweet almond oil, vitamin E and sea salt to help scrub away dry, flaky skin and target pesky skin conditions like cellulite, stretch marks, eczema, and psoriasis. There are other flavours in this coffee scrub range: coconut, cacao and peppermint to suit your needs. The scrub itself isn’t too wet nor too dry. 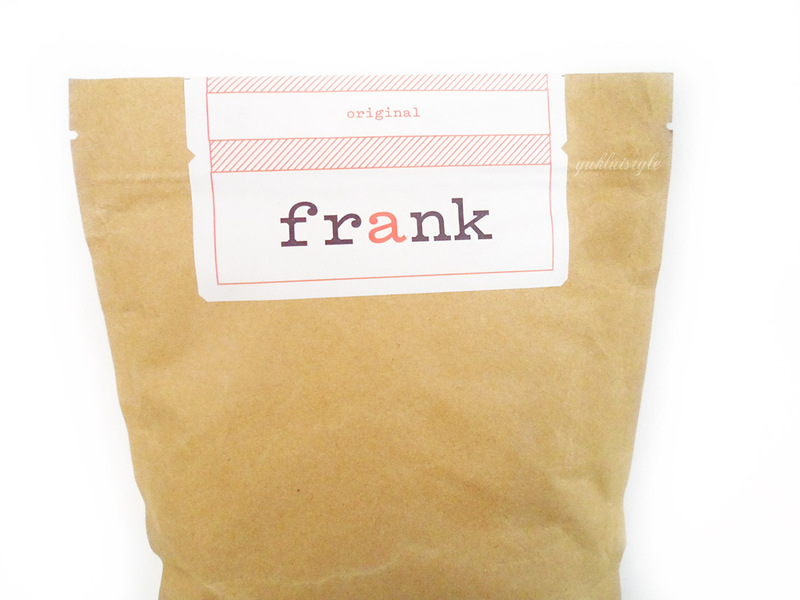 Frank is fine, course and messy to apply and would highly recommend applying it in your bath or shower. It does leave the bath/shower messy but it is easy to clean. I always apply this on dry skin as that’s how I find exfoliating at its best. I leave the scrub on for 5-10 minutes then wash off, and oh my, hello baby skin. It does leave my skin so soft and smooth even without apply moisturiser but I generally apply a moisturiser afterwards. I’m currently stroking my legs whilst typing this up. This would definitely be great to use before applying fake tan, shaving etc. It works better than my REN sugar body scrub and Frank is cheaper. It has helped in reducing in grown hairs and has made my legs look more radiant. I’ve been having rough, dry skin on my elbows and this has helped them a lot. On my arms, it has helped reduce the pesky keratosis pilaris (aka chicken skin). With more use, I hope it’ll help get rid of it even more. I don’t have any scarring or stretch marks so I cannot really comment on this. As for cellulite, I haven’t seen much improvement. I have used it on my face every now and again. During those times, it hasn’t broken me out nor have I seen any major improvements. I’m just going to stick to using it on the body as I hate to break my skin care routine. I know it is a coffee scrub but coffee is one of my least favourite scents. I did get use to it and would definitely try out the peppermint one next time. The smell doesn’t linger around for long after you’ve washed it away which I am happy about. If you have sensitive skin, use the coconut oil one. Frank knows how to scrub you up well. I do not think I will ever try this myself because it looks messy. Haha! My wife might like it since she likes to drink coffee. I have heard so many good thinks about coffee scrubs recently so would love to try it out. The coconut version sounds heavenly! I've never tried a coffee scrub! I like the packaging and the fact that it's all natural! This is the very first time I hearing or reading about this scrub. I am glad it worked out well for you. 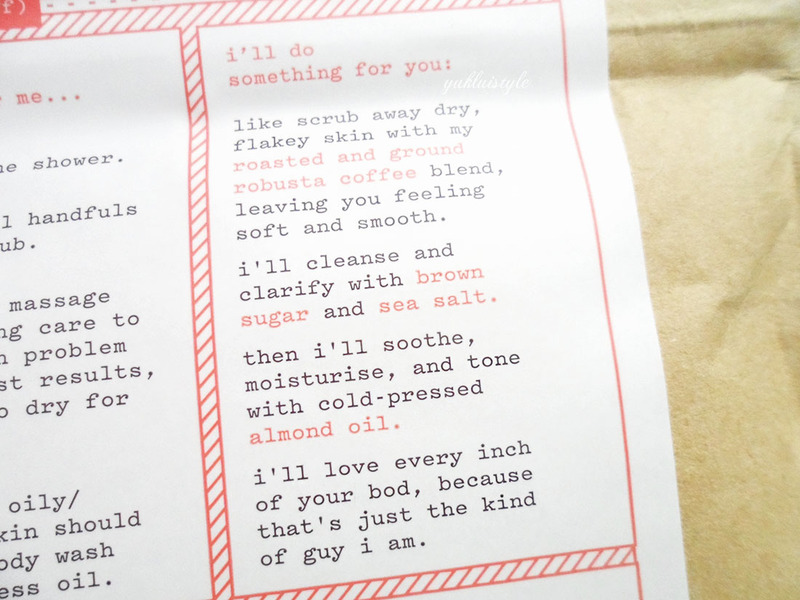 I first heard about coffee scrubs from a male friend. That's when I read about the benefits of coffee scrubs. I haven't it tried it though but I'd make a go at it because I love coffee as is. The exfoliating benefits is a bonus. I have heard about the coffee scrub before, but I haven't tried it. This is really interesting. I've wanted to try this for aaaages, it sounds fab! I love the sound of the coconut & peppermint variants, too – didn't know they did other flavours! My first time to hear a coffee scrub! Is easier to scrub on the body or just same with the other body scrubs? I like how you mentioned this is cheaper. It makes us want to try it out. I came across this product throught instagram few days ago. Still thinking shall I try. This review is useful! Coffee scrubs are really good to remove tanning and dead skins but dont forgot to moisture. Recently saw this product. Coffee would really be a strong scent. It's good that it doesn't stay after you've washed it off. This coffee scrub is worth a try, I will let my wife see this, She would love this. I have tried coffee scrub, its good to reduce cellulite & firm up skin. Just love the aroma of coffee in my bathroom, awakening. I love coffee so this scrub is right up my alley! Thanks for sharing a great review.